TV COVERAGE: BTN - Wayne Larrivee and Shon Morris will call the action. 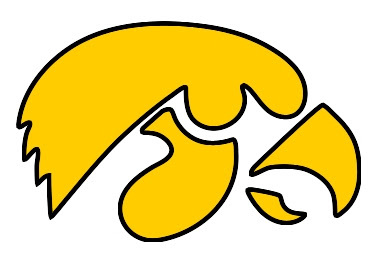 LINE - Iowa is a 2 point favorite at home. Iowa has lost 7 out of their last 8 games and Tate remains questionable for this one. Iowa is coming off a loss to the previously winless in the Big Ten Indiana Hoosiers. Iowa remains in a huge shooting slump, however they did put up 40 points in the second half of the last game. The problems remain the same, low possessions, shooting poorly. It doesn't take much to realize why Iowa is losing games. In fact, Iowa averages just over 58 possessions a game (worst in the nation). Northwestern does a fantastic job of holding onto the ball, they are 4th in the nation in A/TO. Iowa is 10-2 at home, Northwestern is 2-5 on the road. Iowa will need to contain Craig Moore. Kevin Coble will get his, Moore will the Hawkeye killer today. Pomeroy gives Iowa a 54% chance to win the game. MEN'S BB: Great Defense? Perhaps Not.